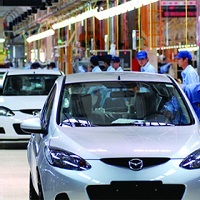 Automobile sector is growing at an immense pace and is touching the new heights now and then. Every other day we see a new wonder car out in the market, in the awe of which we even forget to think about the brains behind such marvels â�� the employees at Automobile companies. We, at Guru Placement Division, understand the different skill-sets required for the different jobs in Automobile companies and can provide them with the nothing less than the best in terms of Recruitment Services.